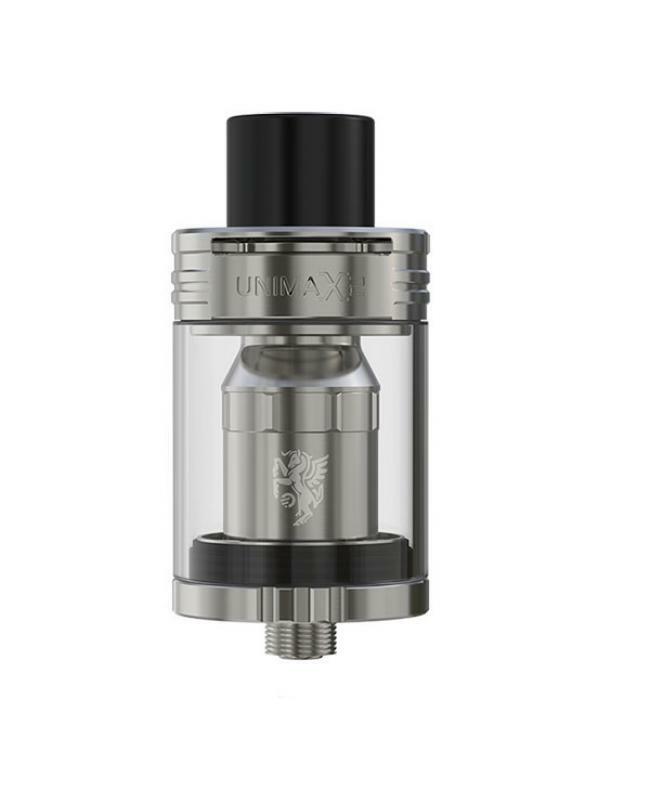 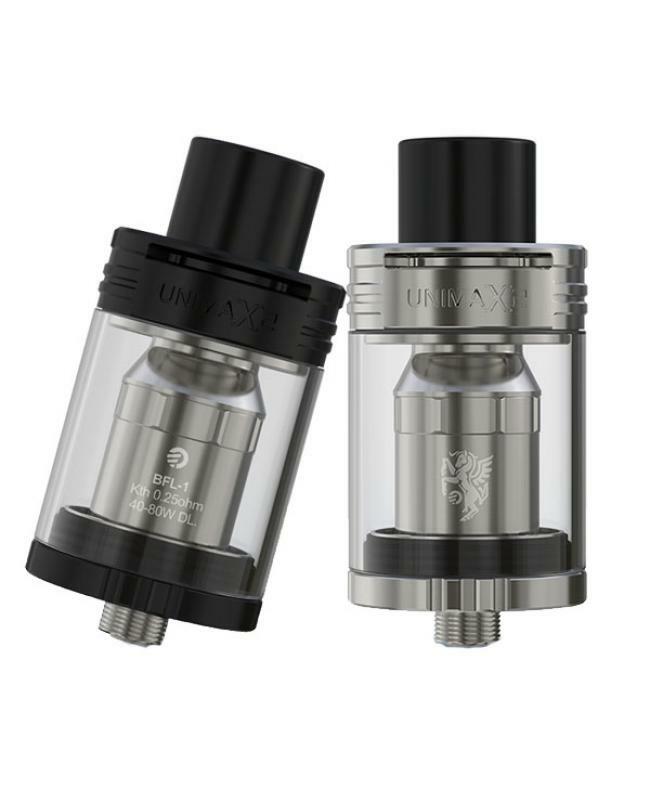 Joyetech unimax 2 sub ohm tank, can hold 5ml e juice, black and silver colors available, the new joyetech tank with distinct and prominent leak-resist cup design, keeps you away from leakage, adopts TFTA system where airflow control and e juice filling can be easily achieved by rotating or removing the top cap. 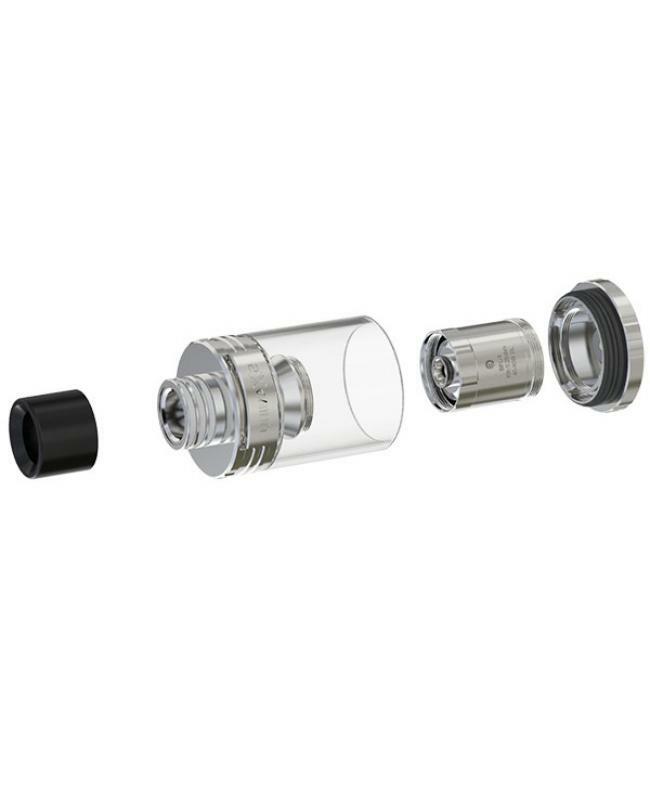 with wide open detachable structure, easy to clean.the brand new BFL-1 0.25ohm coil head will surely satisfy you for cloud and flavor simultaneously. the BFL-1 coil head made of kanthal coil and organic cotton can be used under power mode with output wattage from 40w to 80w. 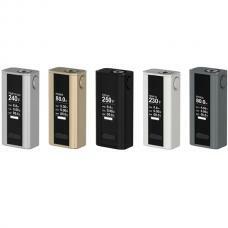 recommend works with evic primo 2 TC box mod.